I'll never grow up, never grow up, never grow up, Not me! Not I, Not me! Not me! I won't grow up! 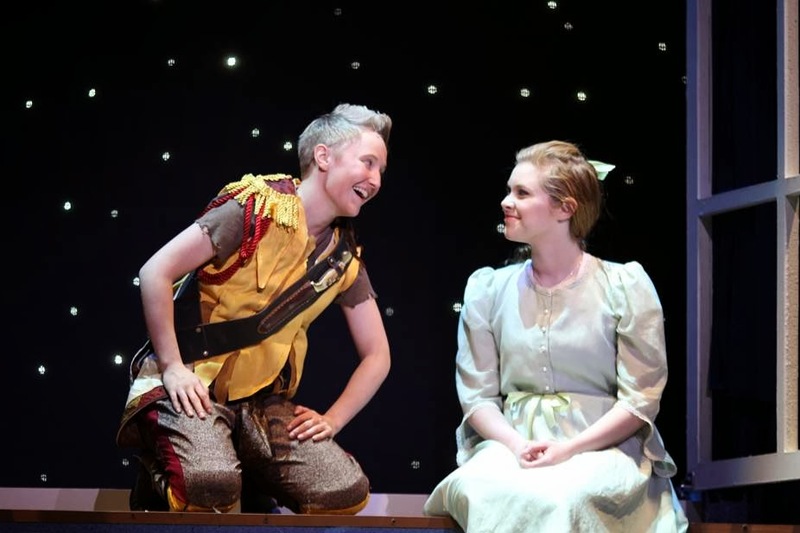 You don't have to grow up, you can still feel just like child as you watch the classical story Peter Pan come to life on stage at the Southeast Missouri River Campus in Downtown Cape Girardeau. Lesse and I, along with a few friends attended opening night of the musical, truly I wish I could go back every night and watch it over and over and over again. With ages 2 to ..... (we won't tell how old Grammy is) we were all sucked into the music, the cast, and the Pixie Dust. I found myself wishing the show would never end, especially when the hilarious Captain Hook and his entourage of pirates took stage. As for Lesse, I believe she was infatuated with "The Natives" and their fancy footwork, she is a bit of a dancer herself, for me their dancing just made my legs hurt, but the cast kept themselves on rhythm and smiles on their face. The young lady playing Tiger Lily did an exceptional job, her face seemed to draw you in, and her rhythm never missed a beat, especially when she was stationed to guard the Lost Boy's door and sat so still for so long. Obviously, Peter Pan and Wendy were favorites and both cast members did a fantastic job, they are very talented in every aspect. I felt that I was more captivated by their personality than I was in the original Peter Pan movie....amazing considering I am 15 or so years older! captures my heart. 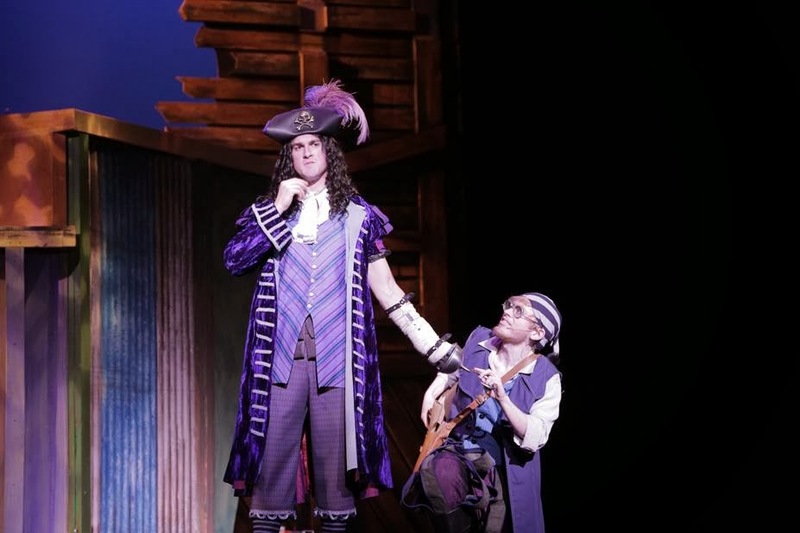 The young man who played Mr. Smee seemed to fit the part perfectly, I felt myself almost feeling sorry for Mr. Smee, as I did when I was a child....funny how fairy-tales do that to you. Overall the show is spectacular, from the stage crew, the orchestra, the cast, and the facility...you can tell they really put their hearts into their performance. Peter Pan the musical will be performing through March 2nd at the Donald C. Bedell Performance Hall, please check their website for ticket prices and show times. I suggest this musical performance for Peter Pan lovers of all ages, and anyone that loves a good musical. I can assure you that you will be impressed with this production, as I would compare this to a show you would see in a much larger area....good job folks! I would also suggest that you get your tickets early, as I foresee this becoming a popular show as word get out of how fabulous it is!